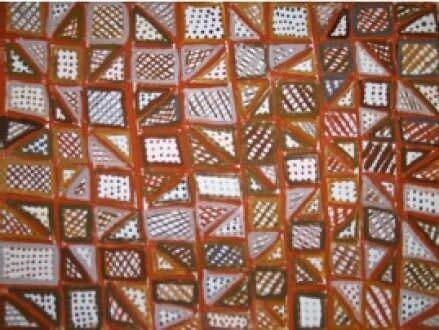 This is the first international exhibition of the renowned Tiwi-islander artist Jean Baptiste Apuatimi. Born in 1940 at Pirlangimpi on Bathhurst Island off Darwin, Apuatimi is a member of the March Fly skin group, a custodian of the Buffalo Dance ceremony, and one of the most senior artists in her community. 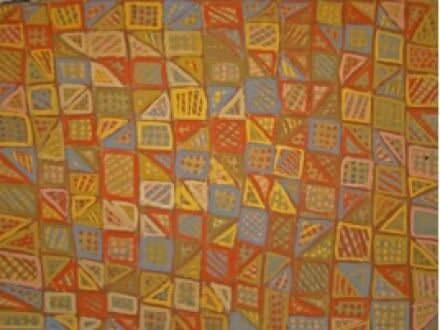 She is the mother of eleven children and the widow of the famous artist Declan Apuatimi. When he died in 1985, he bequeathed his stories and his artistic legacy to her, largely – so she says – to give her a means of supporting the family. 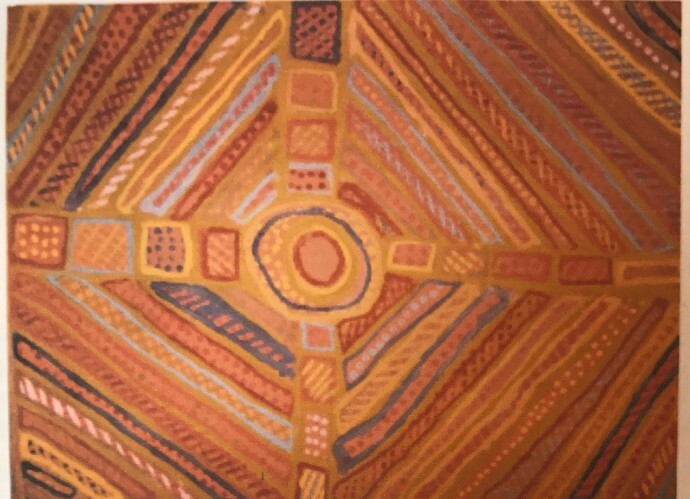 She has done far more than that. 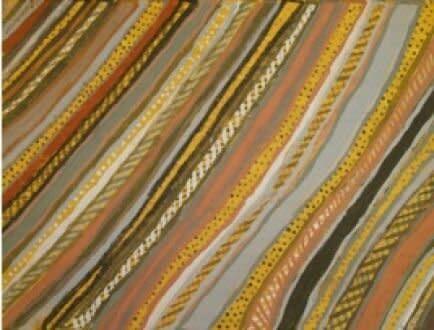 By 1977 she was painting full-time and in her own name. 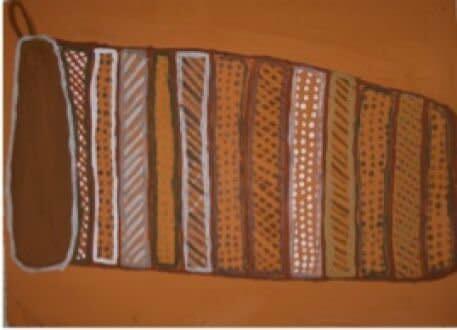 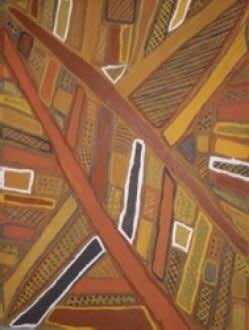 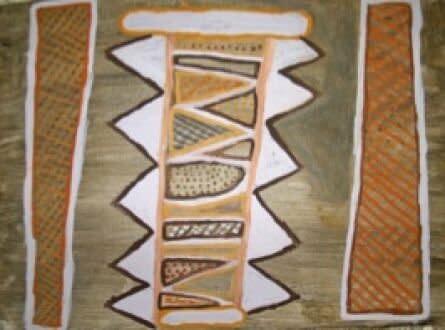 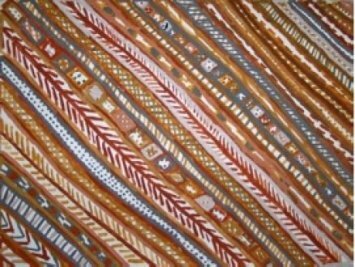 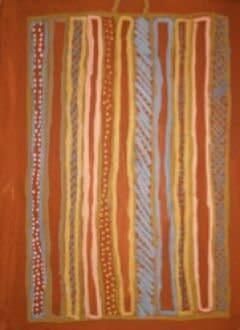 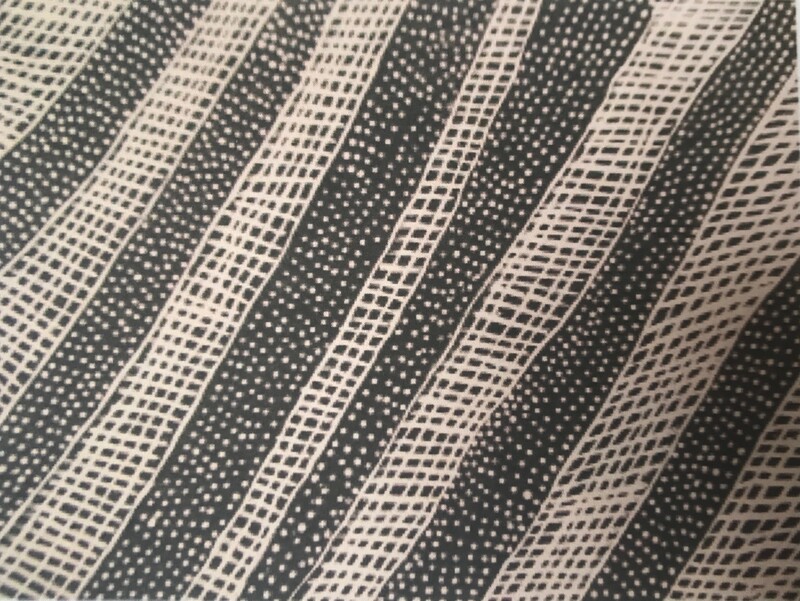 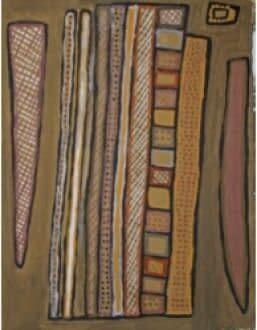 Her work, with its highly original interpretation of traditional Tiwi motifs – achieved an instant following. 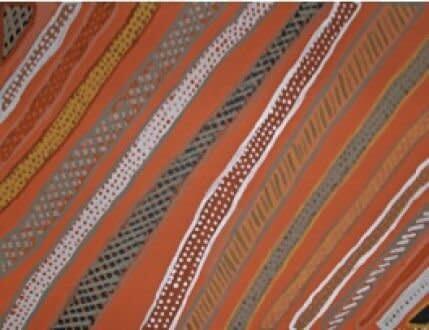 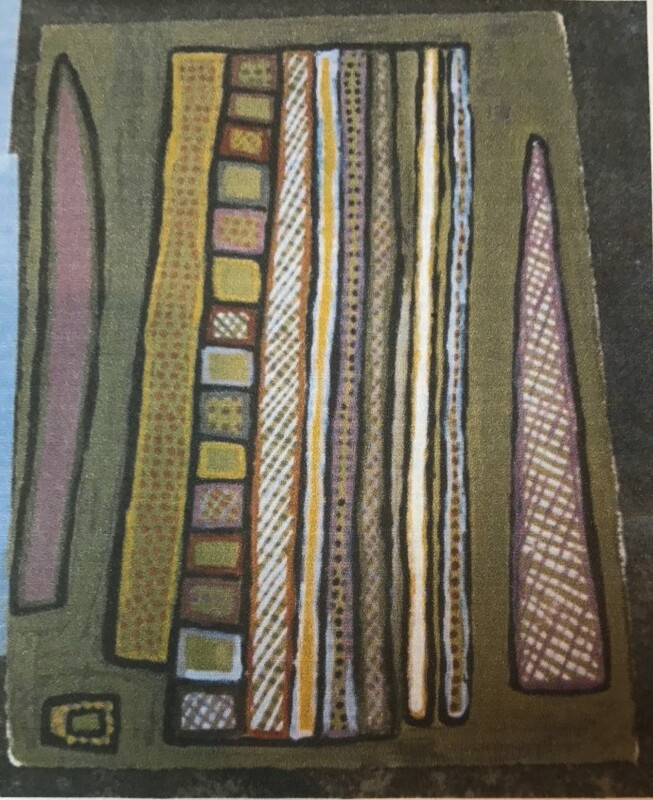 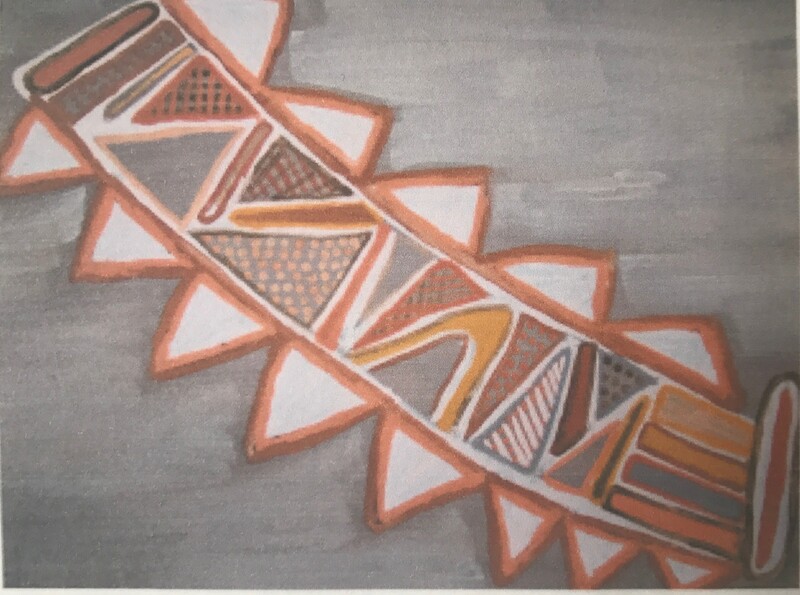 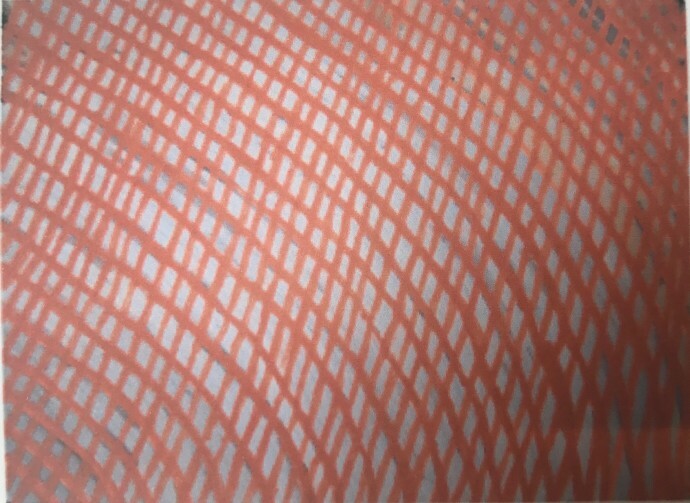 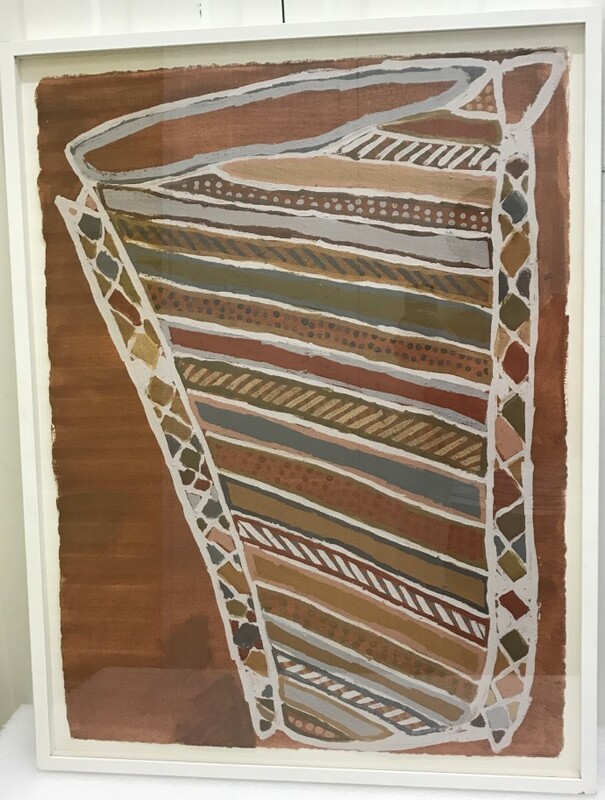 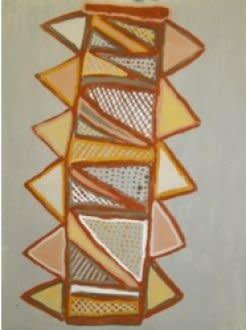 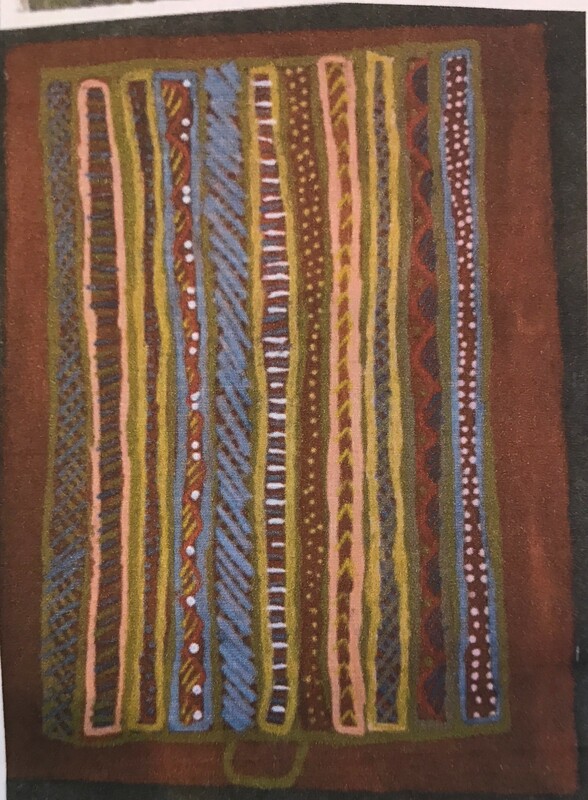 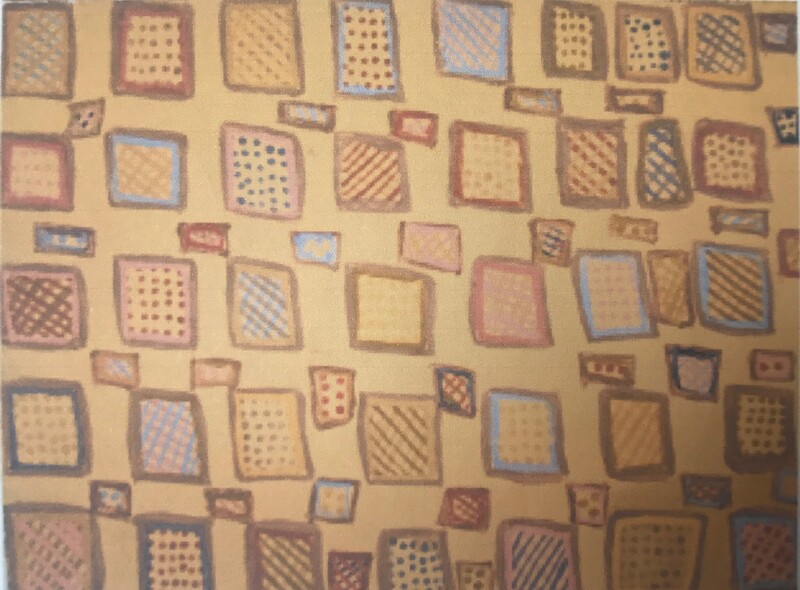 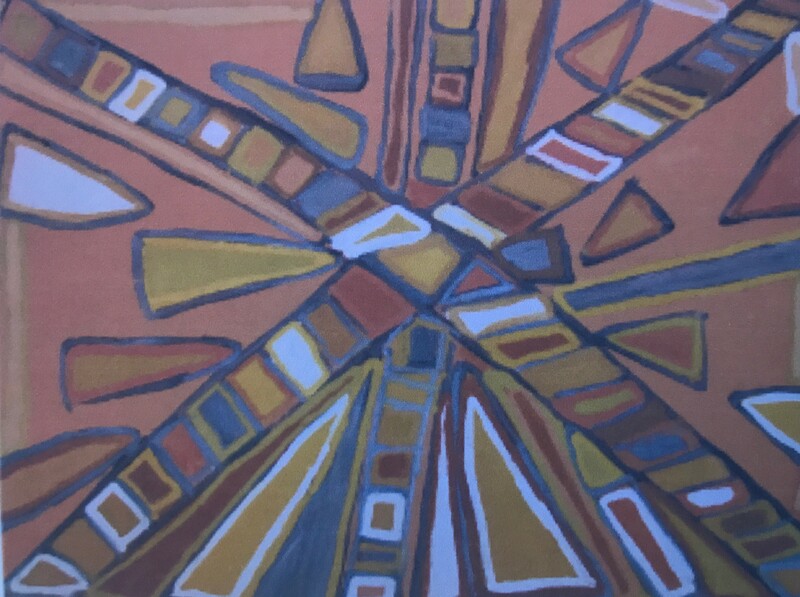 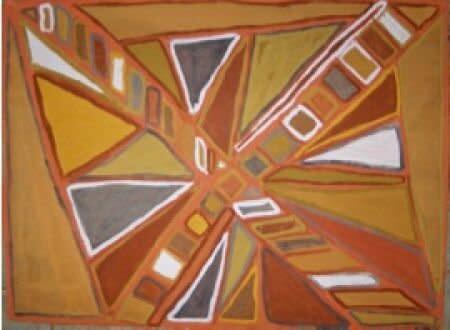 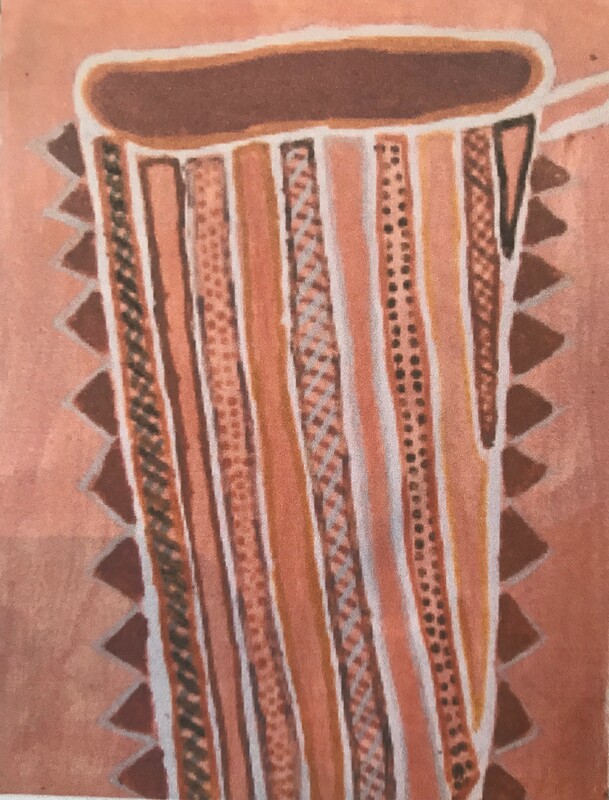 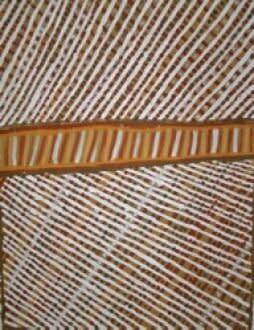 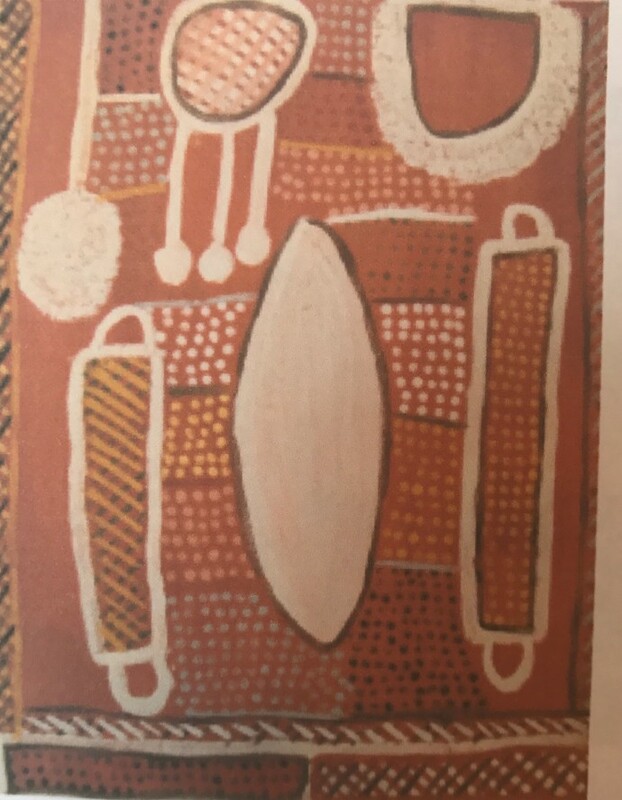 Using the familiar Tiwi palette of red, yellow, ochre, black and white, and the customary mesh of cross-hatching and geometric forms, to record the traditional stories of her people, she has managed to create works of great lucidity and individuality. 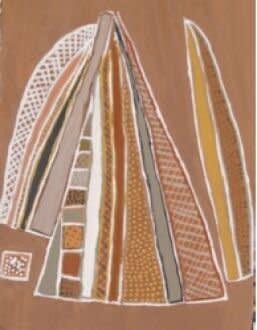 Her pictures have been acquired by the State and National galleries of Australia. 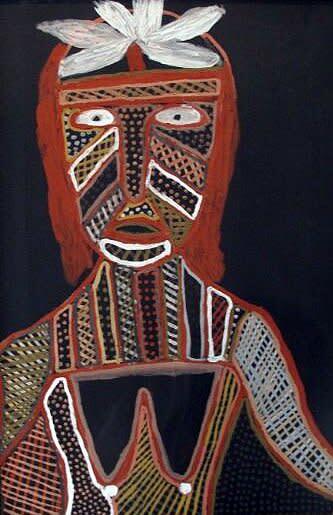 The artist will be travelling to London for the opening of the exhibition to perform some traditional Tiwi dance. 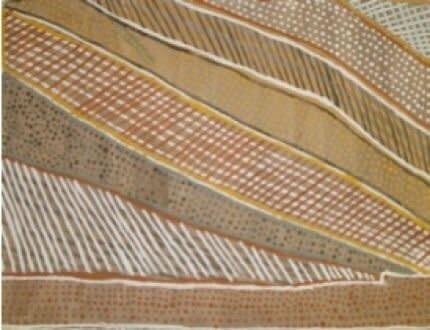 Also joining the event will be the Australian Aboriginal cricket team.